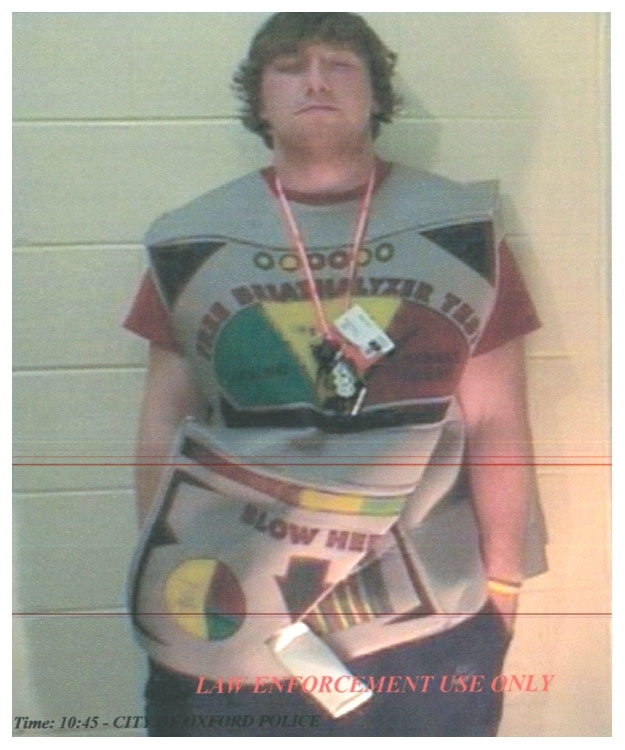 NOVEMBER 2--A Halloween reveler dressed up as a Breathalyzer machine was arrested early Sunday for drunk driving. James Miller, an 18-year-old college student, was busted in Oxford, Ohio after cops spotted him driving in the wrong direction on a one-way street. 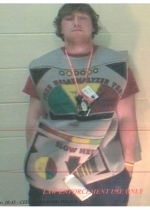 An actual Breathalyzer machine recorded Miller's blood alcohol content as .158, nearly twice the state's legal limit. Miller, pictured in the mug shot at left, was charged with underage drinking and DUI, according to an Oxford Police Department report. Officers discovered an open can of Bud Light in the vehicle's center console and the remains of a case of beer on the passenger seat and in the trunk.